This one took awhile to figure out, and it was easy. I write in Arabic, my native language. 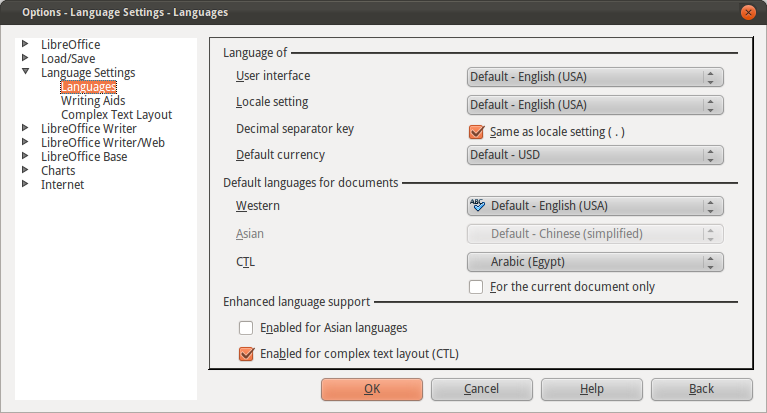 Arabic is an RTL (Right-To-Left) language, which requires RTL support in my word processor. 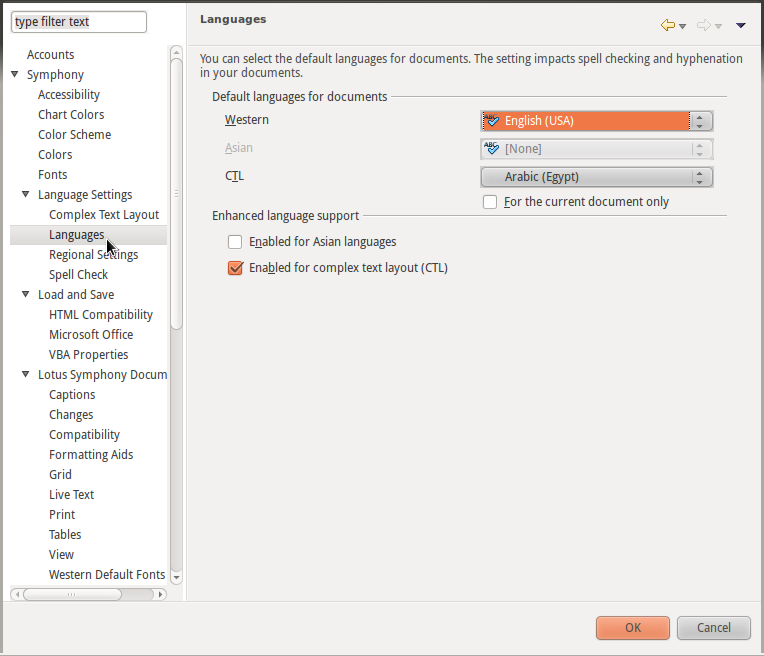 By default, word processors do not show support for RTL directly, as their default language/languages are mostly LTR ones (English and Latin languages). 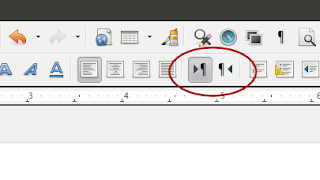 I use Ubuntu now, with both Libre Office and Symphony as my Office Packages (still trying to chose one of them permanently, and wishing it would Libre Office, since it is an Open Source Project). Again, by default, both Symphony and Libre Office Writer do not show support for RTL by default, and I had to look around a little bit to know that they include this in the CTL (Complex Text Layout) support. 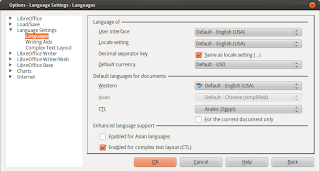 In Libre Office Writer, this can be enabled via: Tools -> Options -> Language Settings -> Languages : in the Enhanced language support, enable the Complex Language Layout. For me, I follow this with choosing Arabic as the default language for CTL. 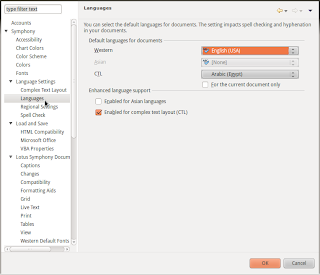 The same process can be done in Symphony: File -> Preferences -> Language Settings -> Languages : in the Enhanced Language Support, enable the Complex Language Layout. Also, I followed this with choosing Arabic as the default CTL language for documents. Thanks. Enabling RTL baffled me for a while.